The latest estimates are based on increase in global crude oil prices from the second half of March, when prices reached a new high in 2019. After collapsing in mid-2014 due to supply glut, crude prices have remained low for three years. 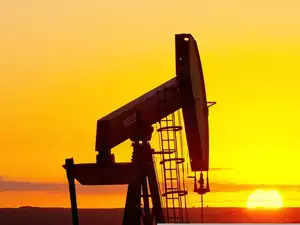 NEW DELHI: A late surge in oil prices is expected to increase India's oil import bill to its five-year high. As per estimates, India could close 2018-19 with crude import bill shooting to $115 billion, a growth of 30 per cent over 2017-18's $88 billion. The latest estimates are based on increase in global crude oil prices from the second half of March, when prices reached a new high in 2019. Crude is hovering around $70 a barrel on the back of extended production cuts from the Organization of the Petroleum Exporting Countries (OPEC) and Russia, and expectation of demand pick-up. "The latest estimates suggest we could touch or cross $115 billion in oil imports in FY19. This is the highest level of imports in the five years of the Prime Minister Narendra Modi-led NDA government. The Modi government started with an import bill of $112.74 billion in FY15. This, however, went down in subsequent years as the global oil prices crashed," said an official source. However, contradicting apprehensions, the Oil Ministry's Petroleum Planning and Analysis Cell (PPAC) in its latest assessment has made a conservative estimate of import bill growing by 27 per cent from $88 billion in 2017-18 to $112 billion in 2018-19. Interestingly, PPAC's estimates are based on the Indian basket of crude oil price at $57.77 a barrel and exchange rate at Rs 70.73 against the dollar. This estimate has long been breached with price of Indian basket of crude hovering at $70 a barrel. On the rupee front, however, there is some relief as the currency gained a bit in March after running over Rs 70-71 to a dollar for most of January and February. The oil import bill at over $115 billion will take it closer to FY13 and FY14 levels, when international oil prices had skyrocketed and hovered around $100 a barrel for most of the year. This will push the FY19 crude import bill to the highest in five years of the Modi government, and very close to the UPA II level when the prices had breached all records to touch $140 a barrel. The Centre has maintained that though rising oil prices are a concern, they are manageable and may not upset the macro economic fundamentals of the economy. In fact, Finance Ministry sources confirmed the government had met the 3.4 per cent fiscal deficit target, which meant that the latest changes in oil prices had been accounted for. The deficit numbers have been achieved largely through expenditure cuts. If crude price rises $1 per barrel, the net import bill will increase by Rs 3,029 crore. And if exchange rate rises by Re 1 to a dollar, the net import bill will increase by Rs 2,473 crore. The PPAC estimate is for January-March 2019. While the recent oil price spike has alarmed the government, the fall in crude rates led to big savings in FY16 and FY17. India's bill nearly halved to $64 billion in FY16 for 202.1 million tonnes crude oil shipment, against import of 189.4 million tonnes for $112.7 billion in the FY15. In FY17, the import bill, however, rose marginally to around $70 billion. The lower import bill came on an average crude price of $46.17 a barrel in FY16. In FY17, the average crude price increased marginally to $47.56 a barrel. The Indian basket of crude oil averaged $56.43 a barrel in FY18. After collapsing in mid-2014 due to supply glut, crude prices have remained low for three years. In fact, it neared $30 a barrel in early 2016. Last year, it started rising again and crossed the $80 mark only to fall again later. The prices have started firming up again.